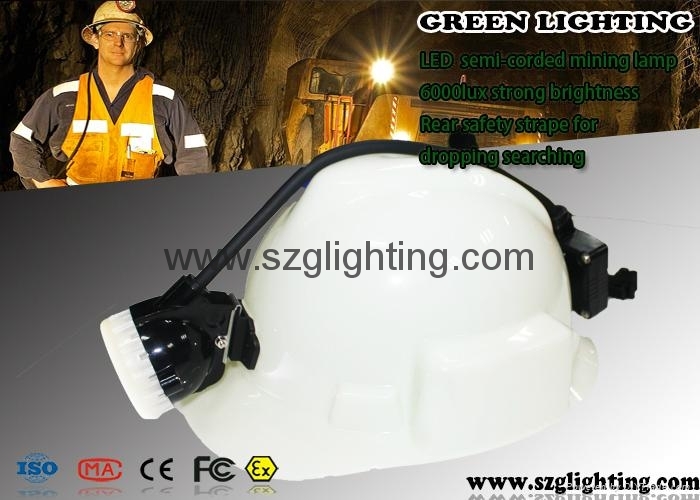 GS5-B Semi-corded miner cap lamp uses high power CREE white led as main light,6pcs SMB leds as the backup lights,and designed with high property 5.6Ah rechargeable Li-ion battery. 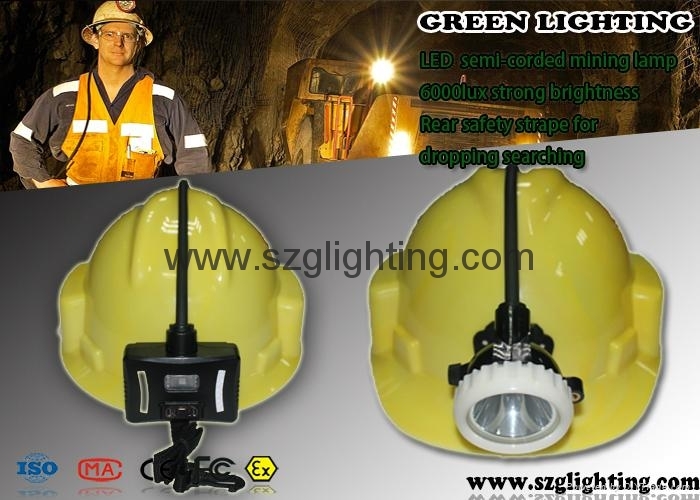 It uses 30cm cable to connect headlamp and battery housing!Length of the cable can customize.Battery shell with reflective stickers!And safety strap Included.These designs can make you safer and more convenient. 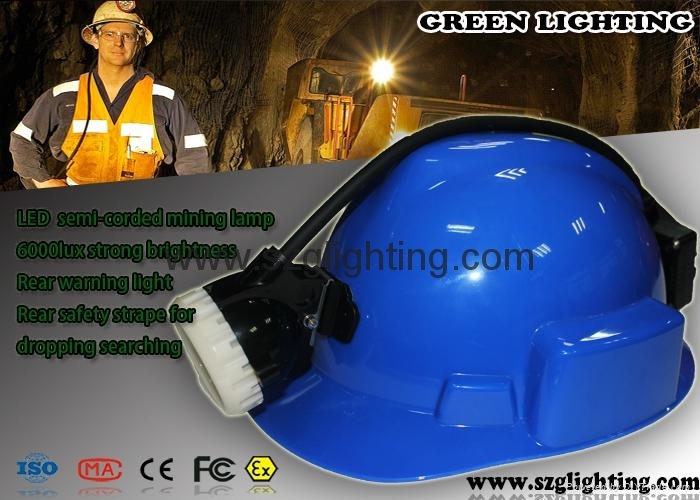 GS5-B mining cap lamp has8000Lux strong brightness,long lighting time,long life time,high intensity,light weight,low usage cost,and high safety. 4.This lamp has three chaging modes. USB charger (USB cable) ,cradle charger (battery part) or cradle charger (lamp head part).Any of them are avaliable. 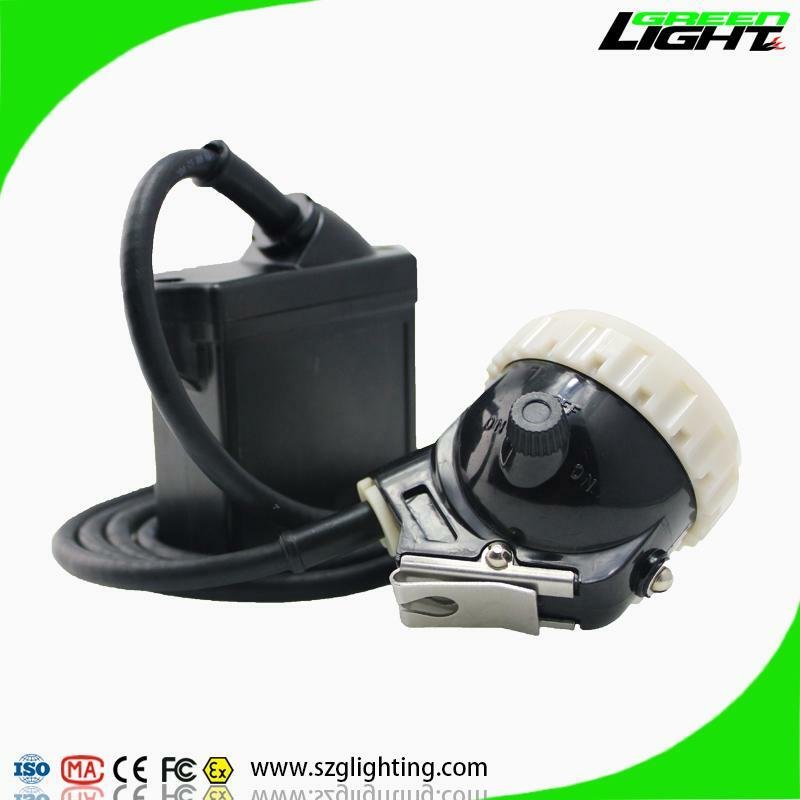 5.More than 18 hours working time, more than 10000lux high brigtness, more than 500 cycles lifetime of the battery. USB charger (USB cable) ,cradle charger (battery part) or cradle charger (lamp head part). 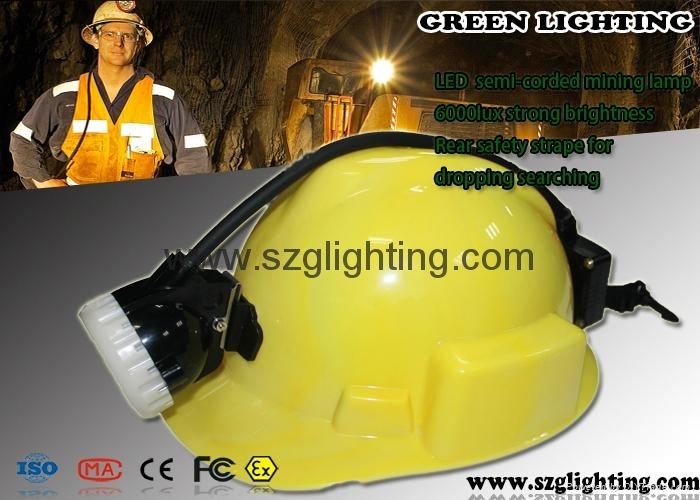 packing by colorful box of unit lamp with single charger, 20pcs/carton, 10.68kg/carton.